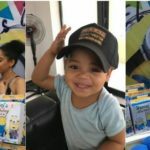 Ghanaian star and mother of one, Yvonne Nelson has taken to her Instagram page to announce her 36th birthday. Ghanaian actress, Yvonne Nelson is celebrating her birthday today, November 12, 2018. To mark this day, the pretty actress shared this lovely photo of herself via social media. 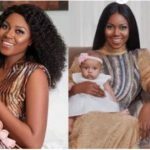 Yvonne Nelson is a Ghanaian actress, model, film producer and an entrepreneur. She has starred in several movies, including House of Gold Any Other Monday. “In April” and “Swings” She is 36 years old.